After Star Wars Rebels came to an end earlier this year, we knew the next chapter of Star Wars animation was close, and now we know exactly what it is. And its extremely exciting. The new chapter in Lucasfilms world is leaving behind the age of the Rebellion to tell a new saga set in the run-up to Star Wars: The Force Awakens. 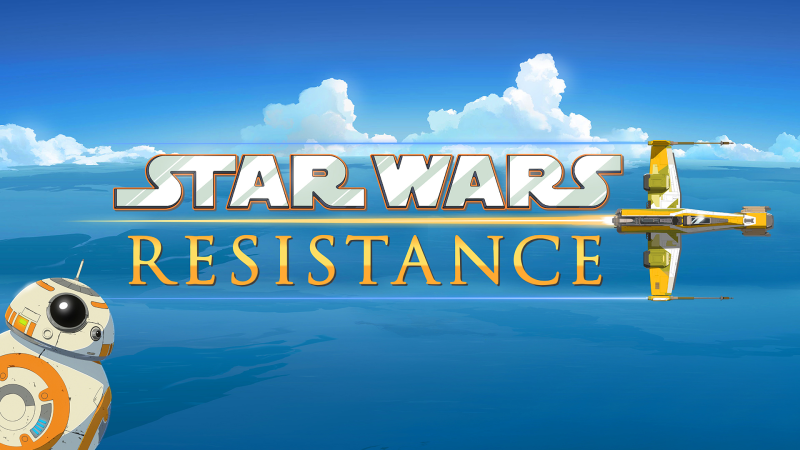 Announced by Lucasfilm today, Star Wars: The Clone Wars and Rebels producer Dave Filonis next project will be Star Wars Resistance. Set in what is described by the company as an uncharted time frame prior to The Force Awakens, the anime-inspired Resistance will follow a young pilot named Kazuda Xiono, recruited by General Leia Organas burgeoning Resistance for a top-secret surveillance mission to survey the growing power of the First Order. The series will focus on Kazuda and a cast of ace pilots, but will also feature familiar faces from the sequel trilogy in the form of BB-8, Poe Dameron, and Captain Phasma, with both Oscar Isaac and Gwendoline Christie reprising their respective roles for the series. Edited by Master Fwiffo, 26 April 2018 - 10:30 AM. 1) I like this idea and am interested to see the character designs. 2) I'm gonna guess Poe and Phasma are gonna be occasional cameos not regulars, but that's fine. 3) It would be nice to eventually have a Star Wars cartoon where an ambiguous, likely death wasn't hovering over the protagonists. Their Last Jedi fate is gonna be a speculation for these guys like Ahsoka and Ezra before them. Edited by ZacWilliam1, 26 April 2018 - 12:21 PM. Is that a yellow X-wing? Or an E-Wing / X-Wing hybrid? When do I get the Lego version?! I'm interested in this. Anything fleshing out "The Resistance" would be incredibly welcome, IMO. I wonder if they'll work in the end of Rebels? How can they not do that? It doesn't surprise me that this is coming. After Last Jedi, I was pretty much expecting an "inter-quel" series akin to Clone Wars to fill the space between TLJ and Episode 9. It does surprise me that they are looking at the origins of the First Order and being a prequel to TFA. I'm glad to read that it will be "anime-inspired", and hoping that will give the series a breath of fresh air, stylistically. 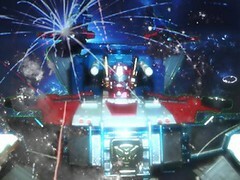 Even though I know it's going to be cel-shaded CG like Robots in Disguise or Tron. How long does Ashoka's species live? Ezra would be a bearded old man like Luke at the point this toon is set and the two searching for him would be even older. -ZacWilliam, I dearly want to have that plot followed up but I'd hate to see it take that long in-story for the ladies to find him. Another place seems like it'd be better. This looks interesting. I'm sure I'll watcha few episodes and become completely addicted like everything else Star Wars. I'm excited, but I was hoping for an OT-set Rogue Squadron series. It'd be nice if the main character was a female. I want Jessika Pava to show up. "Anime-inspired" generally means it's going to look like an anime series, maybe with a bit of exaggeration in expressions. 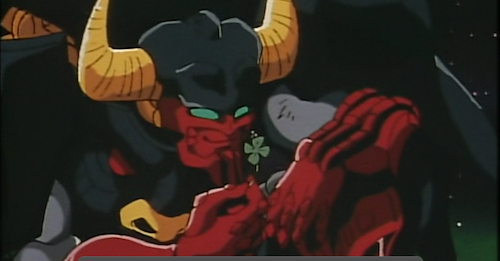 Dreamwork's Voltron is "anime inspired". I generally take it as meaning it's going to look like a 2D cartoon instead of the CG look Star Wars cartoons have mostly had since Clone Wars. I assume "anime-inspired" means human-proportioned cartoon characters, not sweatdrops and speedlines. I'm excited and ready for a new Filoni series. Awesome news! Although, I still need to see the last season of Rebels. Poe doesn't like the series premise, leads a mutiny and the show never gets past a pilot. mmmmmm, I want to be hopeful about this series but I am more worried than anything because the article doesn't exactly give a point in the timeline between Return of the Jedi and Force Awakens and that is a big time frame, plus I do not really care for Poe as a charater, FA he just there, Last Jedi, didn't make me care much for him, or BB8, I think they should leave those charaters out of this or just give them a couple of moments but not as important, much like the original saga charaters were in rebels. Also, I didn't really like the last movie, AKA Last Jedi, that was a terrible film and it kind of killed a lot of my excitment for Star Wars, while I know the person in charge of this project did the previous two TV series, rebels was a bit of a mixed bag for me, so I'll try and keep a open mind, however I want to see actual footage of the show before judging if its worth my time or not, a logo tells me nothing about the artwork of the show. Uh, I mean... sounds great. The promo images seem to be implying a cel-shaded 3D look without outlines, which I'm not sure about; think I'll have to see it in motion. Kind of reminds me of Iron Man: Armored Adventures. "Kazuda" sounds like a feminine name, so having a female protagonist would be neat. I'd say this is an extremely different scenario compared to Ahsoka, Kanan, and Ezra. There were very specific reasons none of those characters could be around for the OT. The simple presence of another Jedi being active in the Rebellion during the OT would logically break the entire story premise of the OT. How can you have a story where the fate of the galaxy revolves around this kid struggling for years to become the first of the next generation of Jedi with little to no guidance from the virtually extinct order, when there's another guy in the office down the hall who can show him the ropes? It's not just that Yoda says he'll be the last Jedi. The entire story just doesn't work if those other characters are still in the picture. They had to be off the board by the end of Rebels, with death simply being the most clear and logical way to achieve that. But some pilot who's part of the Resistance before TFA? How is it a problem if s/he is off on some mission at the time of TFA? Remember that TFA and TLJ combined take place over a matter of days. If a character wasn't at the Resistance HQ at the time of TFA's climax, that character simply wouldn't be part of the ST story thus far. It would be a bit of a thematical contradiction if Episode IX shows that there were really a bunch of other Resistance forces that avoided the TLJ slaughter, but a random pilot or two doesn't have any meaningful impact on the story. So as far as I can see, things are wide open for this new character. The Resistance is understaffed, but there could still be Resistance groups out there. The Rebel Alliance didn't hang out all in one place. I'm not sure about the Raddus, but the other three evac ships, including Vice Admiral Holdo's ship and the A-Wing squadron, were the Resistance ships that were able to get to D'Qar in an hour's notice (or however much time passed since Starkiller). The non-returning TFA Resistance cast members (e.g. Poe's team) are officially off on another mission. It's not hard for Kazuda Xiono and her(?) team to still be in the Resistance, or even for them to cameo in Episode IX. Edited by Fenrir, 28 April 2018 - 04:15 PM. Amazon seems to think there are going to be 7 seasons of Rebels. Guessing they were misinformed. It could be three of the four seasons spilt into two parts and that's what they call a season and we call mid season break around the halfway point. Ever wondered what bringing Balance to the Force actually means ?